Basic purpose of soil moisture sensors is determining percentage of water in soil, rater volumetric water content of soil mainly for watering plant. We commonly view certain type sensors in prototyping works on various websites and online stores. Basic questions which will come to mind to a newbie are – How Arduino Soil Moisture Sensor Works? What to Buy as Soil Moisture Sensor? We are trying to answer these questions in as easy language as possible. One should mae it clear – DHT 11, DHT21, DHT22 were humidity sensors for measuring relative humidity. How Arduino Soil Moisture Sensor Works? In general, we have few technologies which are commonly used to measure soil moisture. Soil resistivity: We can measure how the soil resists the flow of electricity to indirectly determine the soil moisture. They have two exposed electrodes. Soil capacitance: They also made of two electrodes like that of soil resistivity, but they are insulated. Soil can act as a dielectric material. With electrode we can use the basic principle – more will be water content, the higher will be the capacitance. In that way, we can indirectly determine the soil moisture. Frequency Domain Reflectometry (FDR): We can measure the dielectric constant to indirectly determine the soil moisture. Time Domain Transmission (TDT) and Time Domain Reflectometry (TDR) are other two types were dielectric constant is used to indirectly determine the soil moisture. Galvanic cell: Water can work as electrolyte and produce electricity like Galvanic cell. Using that concept, we can indirectly determine the soil moisture. Neutron moisture gauges: They are costly, bigger instruments. Neutron moderator is a medium which reduces the speed of fast neutrons. That moderator property of water utilized to estimate soil moisture content. In that way we can indirectly determine the soil moisture. capacitance Electrical impedance. 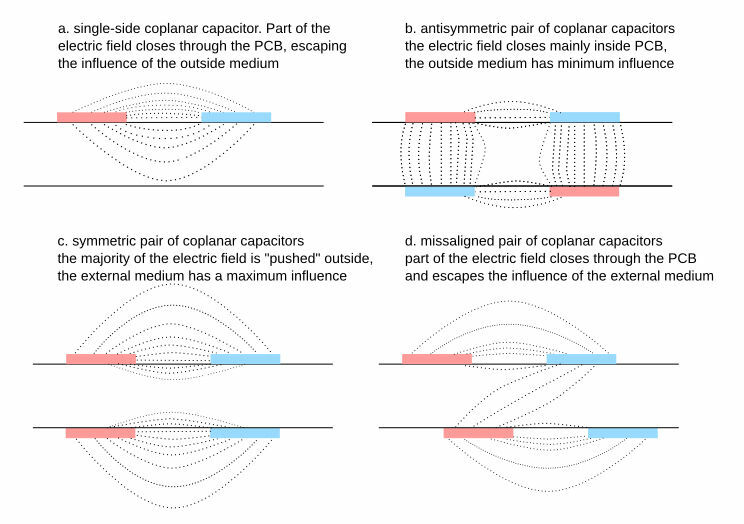 Our “soil capacitance” (2nd in the list) uses just basic principle. The classification academically not fully correct. The need of classification is to make the readers easily understand and also web search (Finding Arduino frequency domain sensor unlikely to bring product or easy to understand result). The commonly found cheaper Arduino soil moisture sensor are based on the resistance of the soil between the electrodes. They use the first technology from our above list. They are not quite reliable and quickly degrade. Which Type of Arduino Soil Moisture Sensor to Buy? As capacitance sensors measure capacitance, they do not have exposed electrodes and unlike measuring the sensors measuring resistance, they do not easily oxidize and degrade over time. Really reliable reading can be obtained if both of the above technologies are combined. However, such kind of ready to use soil moisture sensors not common and difficult for the newbies to find libraries. We hope that this article has helped you. This Article Has Been Shared 7648 Times! Cite this article as: Abhishek Ghosh, "Arduino Soil Moisture Sensor : How Works, What to Buy," in The Customize Windows, August 2, 2018, April 26, 2019, https://thecustomizewindows.com/2018/08/arduino-soil-moisture-sensor-how-works-what-to-buy/.